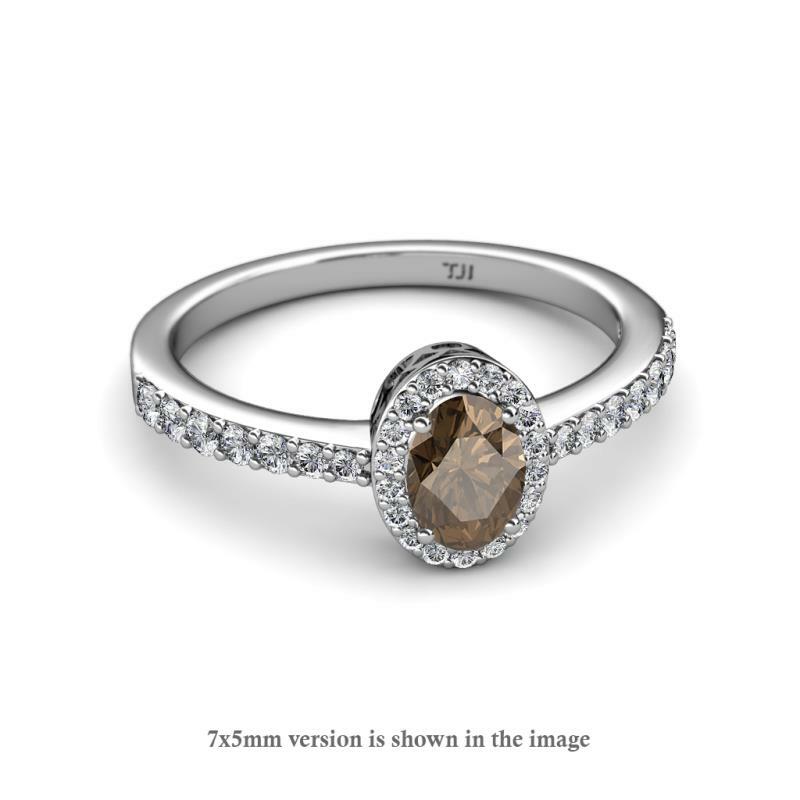 Desire Oval Cut Smoky Quartz and Diamond Halo Engagement Ring Impressive Engagement Ring Embodies an Oval Smoky Quartz enriched by halo of prong set Diamond that showcases luxury and is sure to give immense presence on the hand. Condition: $1635 New In stock! Order now! Impressive Engagement Ring Embodies an Oval Smoky Quartz enriched by halo of prong set Diamond that showcases luxury and is sure to give immense presence on the hand. 34 Round Diamond and 1 Oval Shape Smoky Quartz set using Prong Setting.